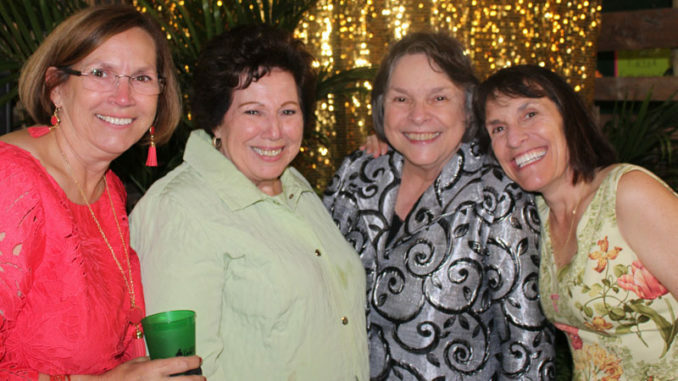 From left are Debra Dufresne Vial, Dorothy Dufresne, Judge Mary Ann Vial Lemmon and Judge M. Lauren Lemmon. 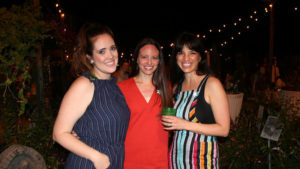 The CARE Affair drew 23 sponsors, more than 200 attendees and more than $30,000 raised. 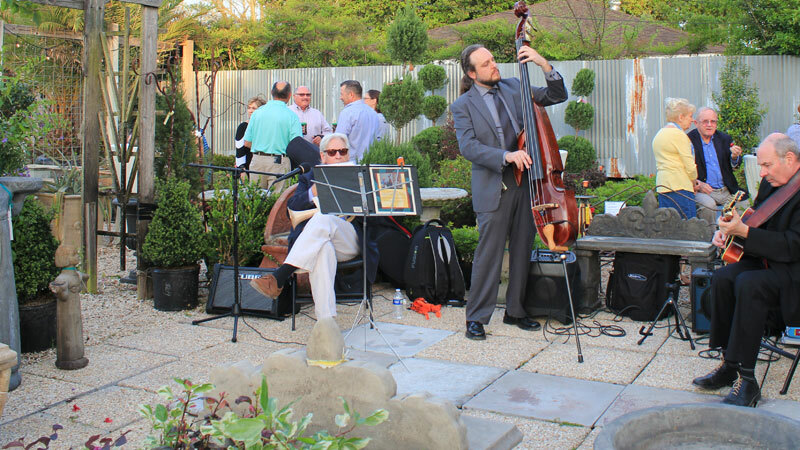 Held March 29 at Martin’s Nursery & Landscape Co., the event featured live jazz music, a silent auction, raffle, open bar and buffet dinner, which was provided and served by the Satellite Center’s Culinary Arts and Hotel, Restaurant, Tourism programs. Major sponsors in the Advocate category ($2,000) include Birdie’s Food and Fuel, J&K Office Supply & Printing, Lucid, Martin’s Nursery & Landscape Co., and Sue Johnson and family. In the Partners category ($1,000) include the Crovetto family and Valero Energy Foundation. Seventy-five families in St. Charles Parish have been served by the CARE Navigator program since July 2018. Kelsi Biscoe, Lauren Johnson and Sophia Lawson-Cornish. Executive Director Lauren Johnson said the program’s significance is measured in lives. The Navigator and family identify their strengths and begin building on those strengths in order to find solutions to address the family’s communication breakdowns and teenager’s anger and feelings of isolation, she said. In just a few short sessions, the Navigator is able to directly connect the family to community services and resources, such as mental health treatment and mentoring, which sets the family on a path to growing and achieving together. “As the family works together to address their challenges, the Navigator communicates directly with the court to advocate on behalf of the family and provides the family with ongoing support,” Johnson said. The program is a product of the parish’s “Bridging Futures” coalition. Bridging Futures was launched in 2017 by the 29th Judicial District Court, along with the school system, law enforcement, and some thirty other local agencies and organizations. It was established to collaboratively develop parish-wide strategies to more effectively address trauma, mental health and substance use challenges facing children and their families. 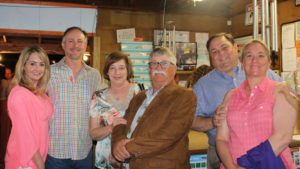 Katherine Smith, Sen. Gary Smith, Gretchen McDonald, Bruce McDonald, Kevin Hebert and Debbie Hebert. Since the beginning, the coalition has been supported by Reclaiming Futures, a nationally recognized organization that works with communities to improve the ways courts, schools, and other public agencies address the needs of young people. “St. Charles Parish has been developing some very innovative and effective strategies to bring families and other stakeholders in the community into the process of serving youth,” Johnson said. 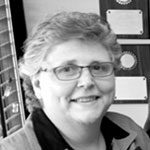 “They are quickly becoming a standard-bearer for the field,” according to Reclaiming Futures Executive Director, Evan Elkin. Judge Tim Marcel said the success of juvenile rehabilitation efforts is largely dependent upon authentic family engagement. Marcel and Johnson have been invited to present this work at the National Council of Juvenile and Family Court Judges Conference in Orlando this summer. Another forthcoming initiative of Bridging Futures is a new specialty court program in the parish. Called Family Intervention Court, this will be a small, specialized juvenile court docket designed to serve youth and families at risk for ongoing involvement in the justice system. Family Intervention Court is set to launch this spring. The scope of the coalition’s work extends beyond the courtroom. 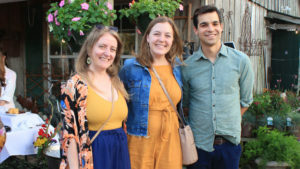 Maria Plotkina, Lizzie McDonald, and Tim Morales. A new project currently in development and spearheaded by the school district is to provide public school students with additional mental health resources during the school day, Johnson said. Placing these resources in schools will allow educators to intervene early when mental or behavioral health needs are interfering with a child’s ability to learn, and schools will work closely with parents to determine how these resources can best meet children’s needs. While the district is still in the early stages of this project, the school system recognizes prevention and early-identification initiatives like these are key to ensuring every child is given the opportunity to grow and learn. Bridging Futures’ goal is to create trauma-informed environments across the parish where anyone who works with children have the skills and tools needed to help them feel safe – even when they face the unpredictable, ongoing stress or trauma in their lives. Jonathan Solomon, member of the Levee Jazz Trio.